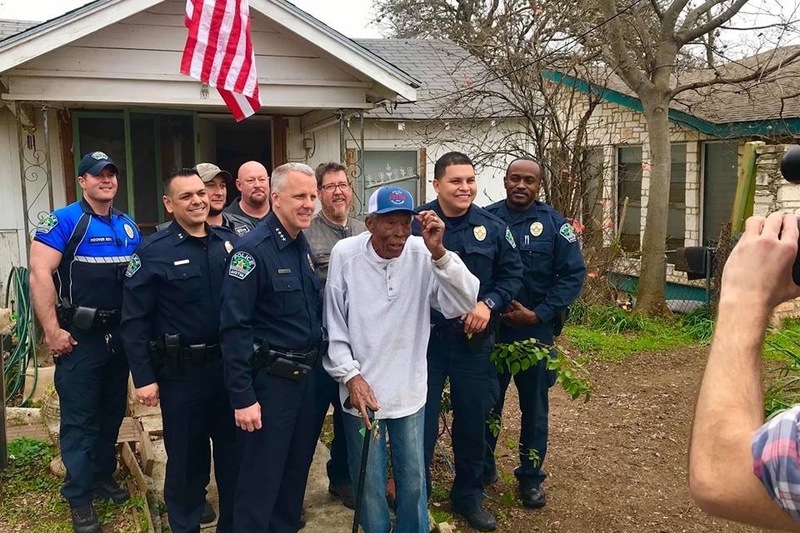 A true hero, Louis Hicks, has spent a lifetime serving his country, his community, and especially his family. 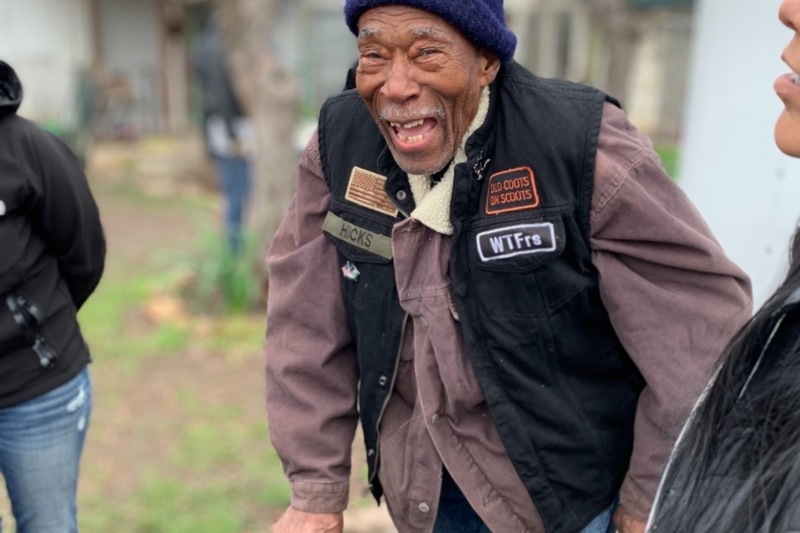 At 92 years young , Hicks can still be seen daily mowing his neighbors' lawns, or cooking his famous cornbread for passer-byers in his East Austin neighborhood. 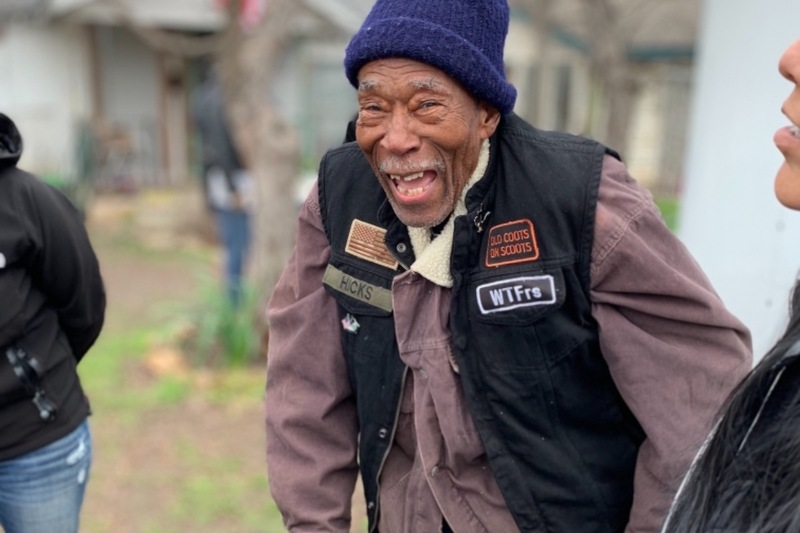 A World War II Veteran, Mr. Hicks has consistently put others before himself. Now, we would like to return the favor. This story shed light on the fact that Louis could use a hand or two. Whether it's groceries, help around the house, or monetary giving for bills, a little will go a long way for this big-hearted community pillar. While he would never dream of asking for help, we believe serving this wonderful man is the least that can be done as he constantly enriches the lives of everyone else around him. I am Monica Hughes, daughter of Louis Hicks. Moving forward I will be managing this account. Starting off I would like to say thank you to Brandon Graham for creating this account and getting the word out for our dad! Brandon started this campaign after hearing dad’s story on the news in hopes to help repair his long time home. 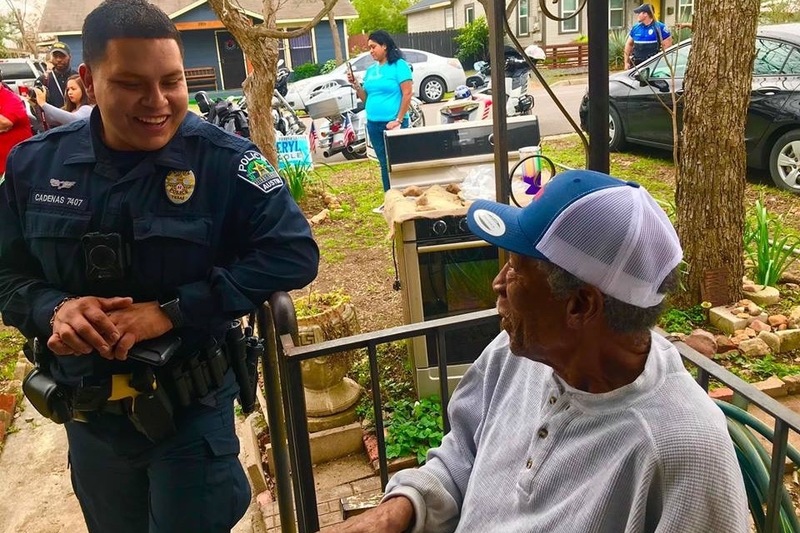 Learning he is a WWII Veteran, and still continuing to serve his community today Brandon has went above and beyond to gather all his resources to give back. I would also like to take the time to sincerely thank all of you who have taken time to contribute on dad’s behalf. Keeping dad happy and comfortable in his home has been a long-ongoing process. However without connections/resources etc it has been otherwise very difficult to achieve. I am so thankful for the tremendous amount of love, and helping hands we have received in such a short amount of time. Dad is also very thankful. He can not stop talking about how much everyone has joined in for him. All donations are going straight to dad and will be used for the repairs on his home. We are looking to repair/replace framework, windows, doors, floors, fixing the kitchen and bathroom, and even some landscaping. Mr. Hicks has given us so much, it’s time we show our appreciation. By reaching this goal - we can help him live more comfortably.